The Clipboards are made of high quality plastic, it will never crack, shatter or chip, for easier handling and protecting the documents. Great for everyday use in offices, schools, hospitals, clinics, warehouses, homes or wherever you need to write in comfort without a desk, such as restaurant check presenters. 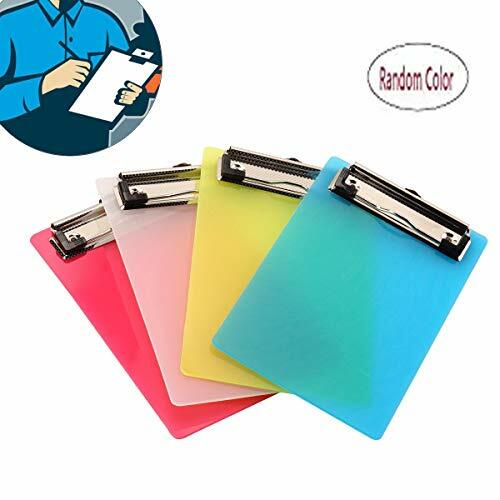 - Perfect for holding small memo pads, notes, tickets, receipts, shopping lists. - The strong clip holds paper steady, the board is scratch resistant and extremely durable. - Can be put into pocket, or hang up via the hole on top. - Great for teachers, golfers, hospitals, restaurants and anyone with needs to keep track of small papers.